If you're looking for a powerful and stylish truck for the new model year, be sure to check out the new 2019 Ford Ranger pickup. The 2019 Ranger specs are sure to impress, and the interior is filled with a litany of comfort and technology perks that will make every drive one to remember. 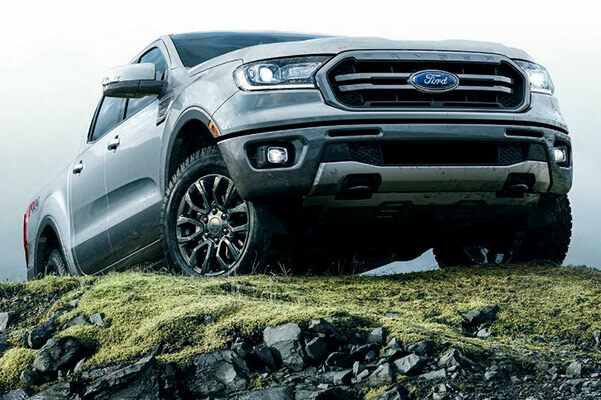 Learn more about the 2019 Ford Ranger capabilities and customization options, then contact our Ford dealership near Fort Worth, TX, to learn more. When you buy the 2019 Ford Ranger truck you can choose from three different trim levels – the Ford Ranger XL, XLT or Lariat. A class-exclusive 2.3-liter EcoBoost® engine with Auto Start-Stop perfectly blends power and efficiency, and the 10-speed automatic transmission helps your Ford truck accelerate effortlessly down every Texas highway. 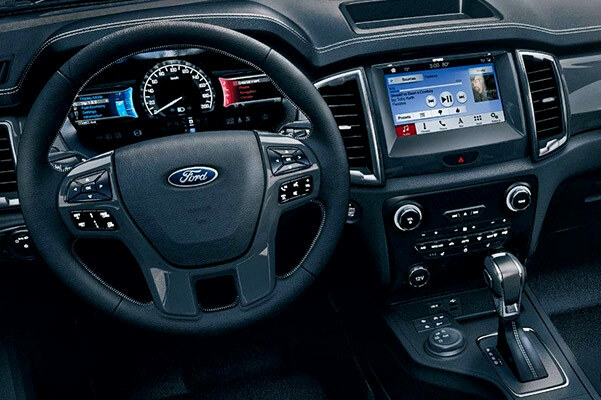 Other available Ford performance features include a Terrain Management System™ and Trail Control™ for when the driving conditions get especially rough. From weekend projects to camping trips and more, the 2019 Ford Ranger pickup is the right truck for all of your needs. Inside the new Ford Ranger interior, you'll find a driver-centric cabin that was designed with you in mind. You can easily connect up to 10 devices thanks to the FordPass™ Connect in-vehicle Wi-Fi® hotspot, and it's never been easier to remain safe thanks to the host of safety features available in the 2019 Ford Ranger. Available driver-assistive technologies, such as a Blind Spot Information System, Adaptive Cruise Control, a Lane-Keeping System and more, can augment your own intuition and keep you and your loved ones well protected while behind the wheel. Contact Five Star Ford of North Richland Hills to ask about our 2019 Ford Ranger inventory and how you can schedule a Ford test-drive. We look forward to helping you find a new Ford Ranger lease or loan that works for you!